IPAN and The Spare Room present LUCKY by Ferenc Alexander Zavaros at the New Theatre, Newtown. 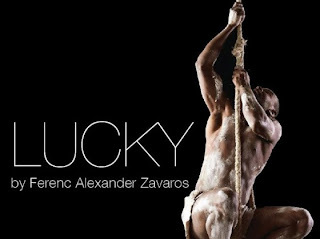 LUCKY by Ferenc Alexander Zavaros, attempts to tackle issues surrounding one of the pressing issues occupying the Australian government and its citizens today, that of the boat people refugee, and is entirely 'worthy' in its intentions. Unfortunately, the production at hand is not very interesting and presents itself as a potential, emerging work in the theatre rather than one that one must see. It is in development and may be best exposed as a workshop - interesting as part of a Fringe festival for developing work but not ready to touted to full paying audiences. The text is fairly dull and utterly predictable, both in plot and character, in a quasi poetical form - relentlessly repetitive. The writing has no forward movement, it is staggeringly static, and fails to engage the audience with any real original observation or singular point of view in its content and subject matter. This poor text is then wrapped in some contemporary theatrical production conceits: the sound artists - (Composer, singer, Joseph Nezeti; singer, Conrad Le Bron) revealed and lit on stage with the ubiquitous presence of the laptop computer and live micro-phoned voices; a movable platform, nicely painted, acting as a raft - a raft being the last thing, I would venture on to seek asylum across the seas - disaster assured, I should think (Set design, Sama Ky Balsom); pretty lighting that gives a romantic stylised 'art-directed' feel to the project - no grit or threat here (Lighting, Ross Graham); banal shadow work projected by back lighting onto cloth hangings and a further 'groovy' physical-theatre approach to provide images through choreography and suspension of performers, by having them hang off ropes and rigging, entwined in images of counter-balancing techniques that have the appearance of a craft not yet achieved - labour intensive in presentation (Collaborative Movement Director, Kirk Page). The production cannot camouflage the short comings of the writing. All of these contributions (Performers: Guy Simon, Hoa X, Drew Wilson) to the production are very raw and nowhere convincing enough to help us appreciate the objectives of this work either as art or politics. The Director, Sama Ky Balsom, and her fellow collaborators do not have the skills to convince us to suspend judgement of the play or the production. 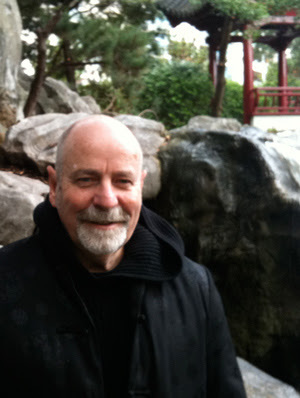 It is all potential and nowhere kinetic enough to demand or hold our attention as yet. IPAN Productions states as its aims "to create a broader global community for the performing arts, to connect creative and production members to projects and raise community and cultural awareness through the arts." Lofty ideals accompanied by ill equipped skills will not attract an audience of wide support. The Politics and the Art will founder by not being seen or heard. The Spare Room curators need to be more rigorous to maintain the standard they are setting to hold the attention and loyalty of their audience.